I’ve just come to the UK to live for the first time, should I be filing UK tax returns whilst I am here? Q I’ve just come to the UK to live for the first time, should I be filing UK tax returns whilst I am here? What about if I am only here temporarily? Not everybody in the UK is required to complete and file a tax return automatically and HMRC list the current criteria on their website (www.hmrc.gov.uk). 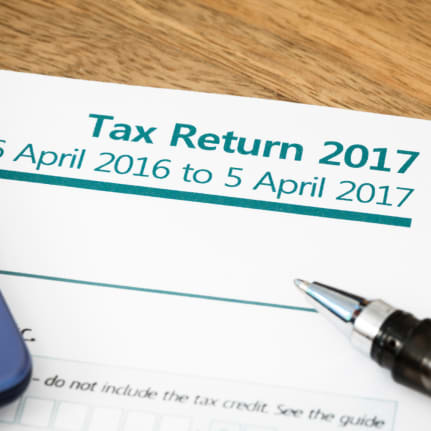 There are certain other scenarios which will necessitate the filing of a UK tax return but the above selection tend to be those that we see most often. A One of the key things about the UK individual tax scheme (called Self-Assessment and operated by HMRC) is that the UK only operate independent taxation, meaning that if your spouse or partner has remained in your home country, their income and circumstances do not need to be considered for the purposes of your individual UK taxes. This can be considered by some new arrivals as beneficial (typically from states that apply tax rates according to total household income levels) and others as a negative (typically from states with high levels of income splitting/transference between spouses or good family benefits). Only being in the UK temporarily. There is a common idea that if an individual is present in the UK for no more than 183 days in a UK tax year, they are not liable to UK taxes. This is not necessarily the case, especially in cases where the individual has UK sourced income – for example employment or investments. UK tax residency rules are well written but complex and relying on the 183 day rule alone is nearly always not the correct approach! Over the last few years, HMRC’s systems have become more adept at finding UK tax ‘avoiders’ – both intentional and unintentional – and it is therefore vital to ensure that you consider your UK tax position and obligations either upon your arrival or prior to arrival where you wish to plan ahead.